Mt. Lemmon is a rare jewel in the hot Arizona desert. Jutting up 9,000 feet above sea level in the Santa Catalina Mountains 25 miles north of Tucson, Arizona, this magnificent mountain peak stands amidst the backdrop of the Arizona desert sand and cactus. When the summer heat beats down at more than 100 degree in Tucson, Mount Lemmon visitors and residents enjoy about a 30 degree difference! Summerhaven, Arizona is a quaint village of shops and restaurants in the heart of Mount Lemmon ski area. Discovered by Tucsonans in the early 1900s as an escape from the desert heat, Summerhaven Arizona is still enjoyed by locals and tourists alike. Visitors can shop for a variety of souvenirs and necessities. They can have a snack or a meal, or walk along Upper Sabino Creek to the Marshall Gulch Picnic Area and Trailhead. Mount Lemmon Ski Valley Few people think of snow and skiing when they think of Tucson, Arizona. Cactus, desert, and diamondbacks more readily come to mind. The Santa Catalina Mountains, however, is home to the southernmost ski area in the United States, which is perched near the 9,200-foot summit of Mt. Lemmon. Mount Lemmon Ski runs are usually open from mid-December to early April, depending on Arizona winter weather and snowfall. Located just an hour's drive from the sun drenched Arizona resorts of Tucson, area visitors can go golfing, swimming and downhill skiing in the same day. Mt. Lemmon Ski Valley offers ski equipment rentals, instruction, the Iron Door Restaurant, a snack bar, and gift shop. Overnight accomodations are available in the nearby village of Summerhaven, Arizona. The Mt Lemmon chair lift is in operation all year round, taking visitors to a high overlook from which they can enjoy views of the Santa Catalinas, the city of Tucson, the San Pedro Valley, the Reef of Rocks, and the distant mountains near Globe and Phoenix, Arizona. These Arizona scenic views, combined with the many trails and overlooks in the area, and the Iron Door Restaurant make this a popular place to visit in any season. OwnArizona™ Mount Lemmon real estate agents provide information on all properties for sale on Mt. Lemmon, Arizona in the Santa Catalina's just north of Tucson. Many are surprised to learn that there is deeded land for sale and cabins sales available on Mount Lemmon located in the village of Mt. Lemmon. Included in the deeded areas are Summerhaven Subdivision, Mount Lemmon Estates 1 & 2, Woodridge Vacation Homes, Loma Sabino Pines as well as land and cabins which are not in a Mount Lemmon subdivision. 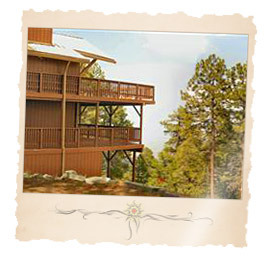 One can also buy Mt Lemmon cabins for sale that have been built on land leased from the Forest Service. These cabins for sale are located in two areas, Soldier's Camp and Willow Canyon Arizona summer home areas. Soldier's Camp area includes Fern Ridge and Bear Wallow. Some people accidently spell Mt. Lemmon as Mt. Lemon, Mount Lemmon, Mount Lemon or Mt. Lemman. If you spelled it wrong, Mt. Lemon is still in Tuscon, AZ. Either way, you have arrived at one of the best resources on Mount Lemmon, Arizona and Summerhaven cabins for sale and general community Arizona real estate. The tools to begin your new Mt Lemmon Community Arizona homes search are right at your fingertips! To get started, simply click on the quick link above or browse Arizona new construction homes and houses for sale using the links to the right. 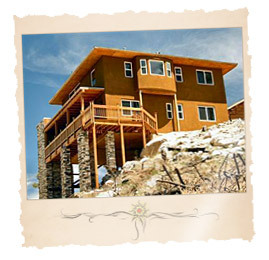 Find a new Mt Lemmon Community Arizona home for sale or locate a home builder in Arizona on MyOwnArizona.com. Our MyOwnArizona™ Mt Lemmon Community real estate guide showcases Arizona new construction homes, townhomes, condos and new Arizona communities by new home builders throughout the State of Arizona. Find new homes by map, desired home price or by browsing new developments and floor plans by lifestyle or home type. All home listings include home price, location and money saving incentive offers to make buying a new Mt Lemmon Arizona Community home more affordable. All houses for sale listed include floor plans, pictures and many offer tours of the new homes and communities. 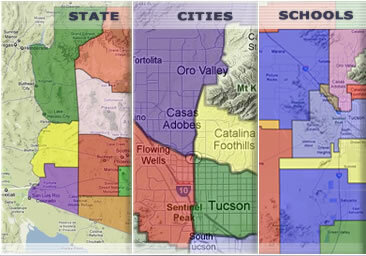 Contact us at: info@MyOwnArizona.com for Arizona & Mt Lemmon Community in Tucson, AZ real estate.